Searching for that special gift for the wine or beer lover in your life? 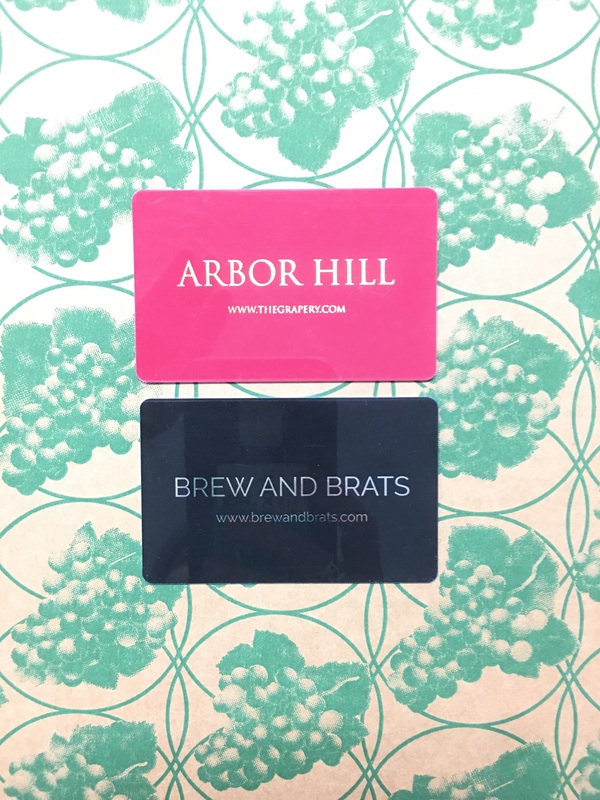 Give the gift of wine or beer on their time with our new reloadable gift cards! Perfect for any occasion and can be used at both the Arbor Hill and Brew and Brats locations. Please read below!! 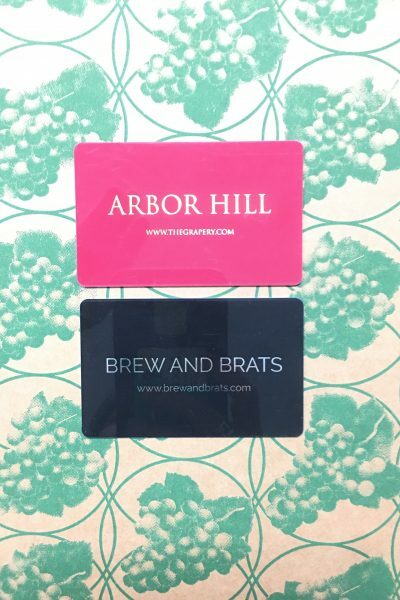 The Arbor Hill card can be used at Brew & Brats and the Brew & Brat card can be used at Arbor Hill. If not specified in the notes section at checkout which card you would like you will automatically receive the Arbor Hill card.